No rest for the weary here at the Five Things We Learned Enterprise, so without further ado, let’s get into what we gleaned from the Revolution’s midweek affair at Columbus. 1. The team that stepped onto the field on Wednesday were in dire need of strong leadership. Jose Goncalves may have worn the armband against the Crew, but that seemed to matter little given how the Revolution unraveled in Columbus. Despite grabbing the lead right out of the gate, the Revolution failed to hold that lead for more than four minutes. Then, coming out of halftime, they surrendered the game-winner during a five-minute spell in which they were out-possessed 95-5. While the Revolution had their fair share of chances to climb back, no one stepped up to take the reins, which speaks to one important item: the locals are lost without Jermaine Jones on the pitch. And how do we know that? Because after the match, Jay Heaps told the media that the underlying issue behind the team’s struggles is more “psychological” than tactical. Translation: the Revolution lack the self-belief to stick together and protect a lead, something that’s rarely an issue when Jones suits up. Since Jones won’t be back for several weeks, it is up to other strong voices in the locker room to take the leadership reins in order to prevent more leads from slipping out of their grasp. 2. The Revolution truly miss A.J. Soares – and not just because of his defense. No one believed Soares’ offseason depature would benefit the Revolution cause, but the club’s current struggles speak to how much he is missed. The most obvious reason was his presence in the defense, where he was a vocal leader. But there’s another aspect of Soares’ absence that has come to the forefront: the swagger, or more accurately, the lack thereof. During last year’s summertime slump, Soares told the media on more than one occasion that he and his teammates weren’t worried. He was firm in the belief that they’d eventually return to form. And they did – even before Jermaine Jones’ arrival. 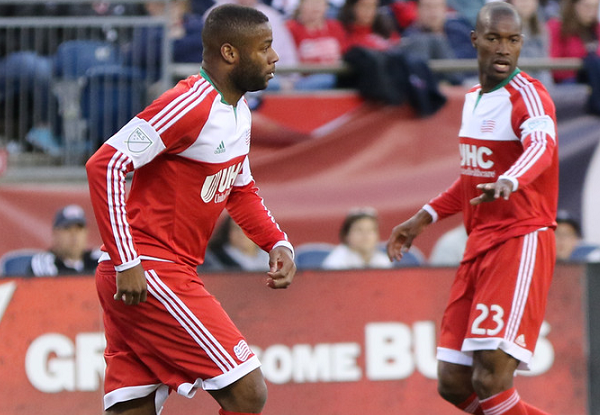 Like they did last year, the Revolution will find a way to dig themselves out of their rut. They’re too talented not too. But you have to wonder whether they would’ve already done so had Soares never left. 3. Lee Nguyen’s first goal from the run of play was a long time coming, but he’ll have to do it a few more times to prove his slump is over. It’s hard to imagine anyone being happier about Nguyen’s opening goal than Nguyen himself, a player who watched far too many of his shots miss by inches time after time again this year. To see him run at goal and finish it from distance was reminiscent of his 2014 form, without question. But whether that means his struggles are over remains to be seen. One goal does not turn a disappointing season around. So to prove that the Nguyen of 2014 – or at least a passable facsimile – is back, the creative midfielder will have to continue scoring more than once every eight games. One thing that works in his favor: when he’s confident, the goals certainly seem to arrive at a more regular pace. 4. Jeremy Hall reminded us all that he’s a converted fullback. We feel badly for the former Toronto FC midfielder. He was brought to Foxborough to play a position he’d rarely played in league action during his seven-year career, and over three months after his last MLS match, he’s asked to keep Kei Kamara off the board. Like life, soccer is unfair. Within the first four minutes, Hall watched Kamara steal his lunch and eat it right in front him. Worse, he rarely injected himself into the attack, duly reminding us that London Woodberry is in no danger of losing his job. In due time, Hall could very well turn out to be a serviceable fullback. But to pit him against one of the top goalscorers in MLS was just hard to watch. 5. Save for Scott Caldwell, the Revolution looked really old in the middle of the park. We’ve said it before, but after watching Wednesday’s performance, it bears repeating: the Revolution are hardly the picture of fitness and vitality in the heart of the midfield. A week removed from his first start in nearly three months, Daigo Kobayashi was shadow of his usual, technically sound self. Too often, he conceded possession like an unskilled upstart. Not long after he was subbed out, Andy Dorman took over at the six spot, and even though he played only 20 minutes, the Welshman looked gassed in the closing minutes. Say what you will about the schedule congestion, the heat, or the refereeing (don’t get us started on that one), but at a time when the Revolution needed to lean on all of their veterans, both seemed to wilt on Wednesday. We are old in the middle, would be nice to see a fresh face there next season. Probably mean we’d have to cut ties w/ either Diago or Andy but that the nature of the game.